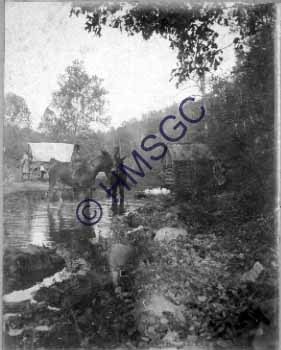 Description/History:Black and white photo of a family gathered around a stream or river. Two mules with children on them are standing in the water. On the bank is a covered wagon, another mule, 2 women and a boy.